Two actors play eight characters in this satirical horror romp set in Victorian-era England. 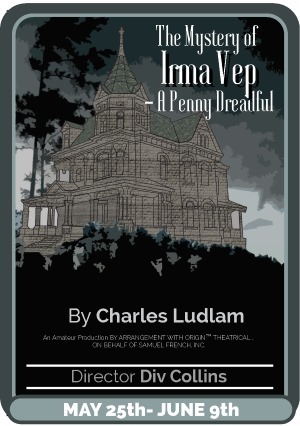 Irma Vep is a fast paced comedic ride, an over the top horror story, taking place at the sinister estate of an aristocrat and his new wife, a nervous stage actress of some distinction, and their employees, an awkward gardener and a no nonsense maid. All who reside at the manor find themselves bedeviled by a werewolf, a ghost, a vampire, a sarcophagus and an unsolved murder. 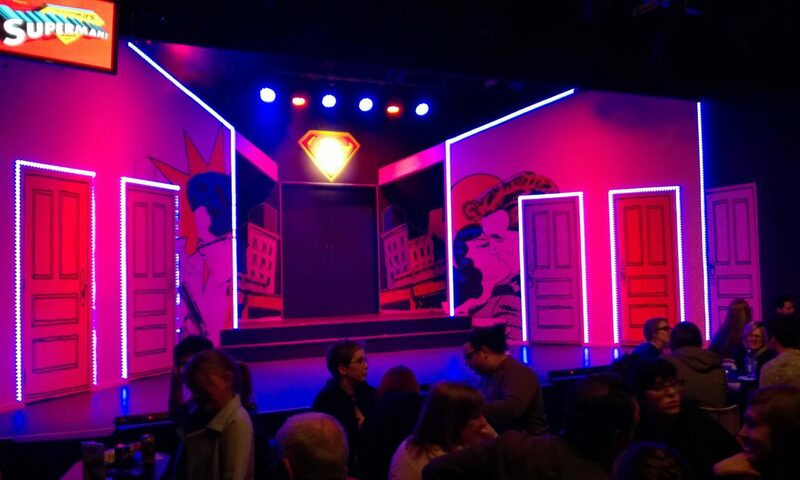 This play is a joyful embrace of melodramatic theater, borrowing from a smorgasbord of works such as Wuthering Heights, the Hitchcock film, Rebecca, Shakespeare, Victorian penny dreadfuls and the entire selection of American vampire, mummy and werewolf movies. For good reason, Irma Vep has the distinction of being Ludlam’s most popular work, inspiring hundreds of productions around the world.